My idea of this myth is not violent, but lyrical. 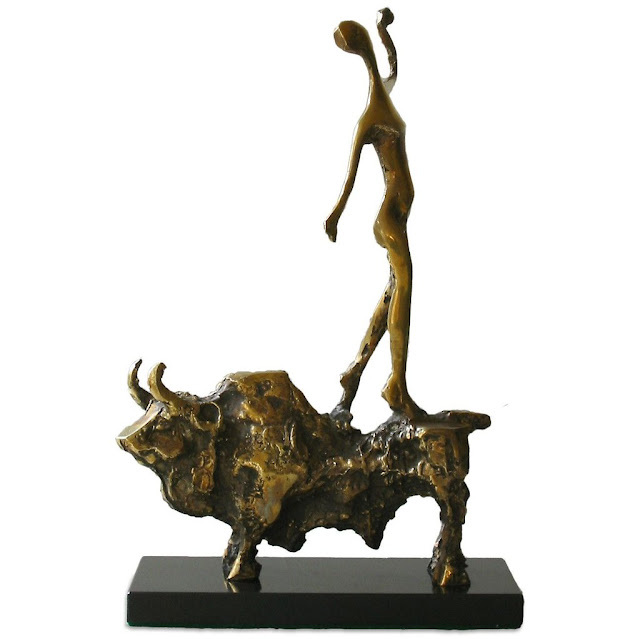 Europa is shiny, elegant, refined, while the bull is coarse, strong. She is desperate, but she is also the future. This is my vision of Europe and also of the two principles - male and female - presented together. A melancholic female is contrasted with the crude male principle in the universal story of escape, transformation, and growth. This breathtaking Bronze Statue can be bought here!